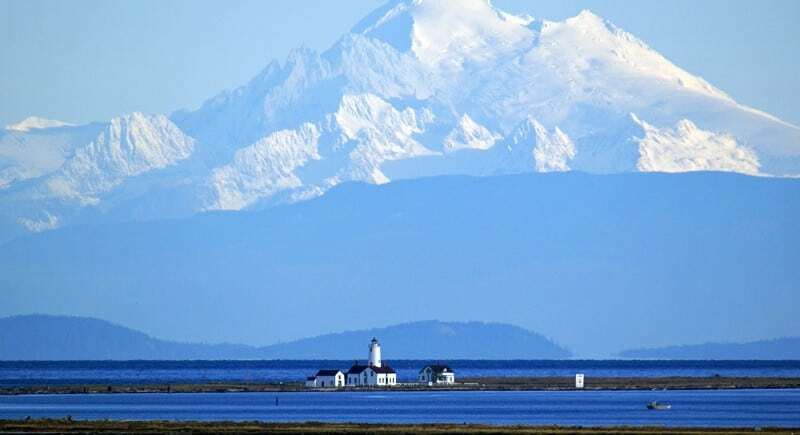 We’re just a few minutes from the Dungeness National Wildlife Refuge, where you can take your time and enjoy the scenery and its many wild inhabitants. The Olympic Discovery Trail is always a wonderful place for walking and bicycling, as is the historic Railroad Bridge Park. 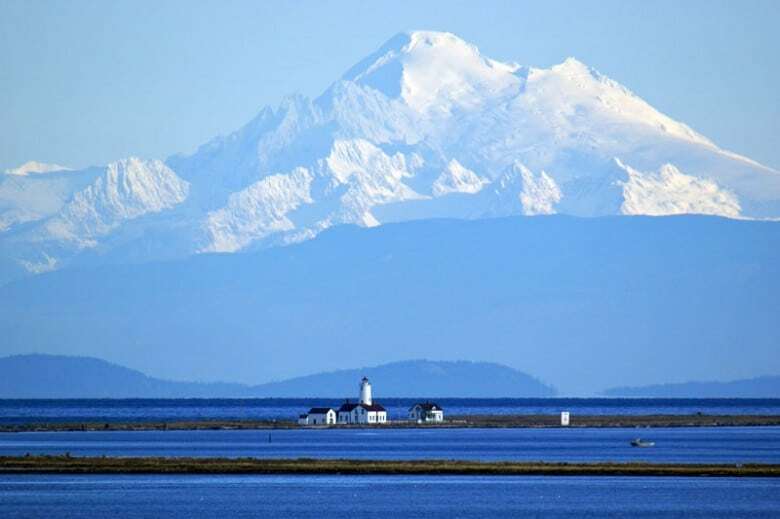 Enjoy the peace and serenity of the winter hiking that’s available in Sequim year-round. While very little snow falls in Sequim itself, Hurricane Ridge is easily within reach for a day of fun in the snow. This beautiful area gets an astounding average of 400 inches of snow each year, and offers stunning views, alpine skiing and snowboarding, as well as cross country skiing and snowshoeing trails. Relax at our beachfront cottages and gaze out your window at the unparalleled beauty unfolding before you. Bring a pair of binoculars, as you never know what you’ll see beyond our shores. 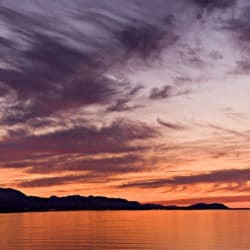 When you’re ready for a little down time, both Sequim and Port Angeles have a wonderful variety of restaurants to enjoy and shops to peruse. Port Angeles favorites include Bella Italia and The Next Door Gastropub, and Sequim favorites are the Oak Table Cafe, Alderwood Bistro, and Jose’s Famous Salsa. 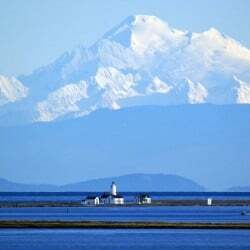 Go ahead; book your escape to Sequim today! 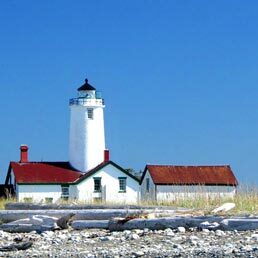 Book your cottage retreat at the Dungeness Bay Cottages in Sequim today.